Step 1: Know the basics. Step 2: Analyze the available packages. Now that you know the basics on student loans, it’s time to analyze which package is suitable for your situation. There may be some lenders that are willing to lend you more, but they may also charge a high interest rate. 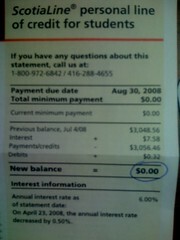 Others can give you a low interest rate, but the repayment period stretches for years after your graduation. Remember, you don’t want to spend your first few years out of college just trying to pay off your loan, so do the math and eliminate any package that isn’t beneficial for you and your situation. Step 3: Choose a student loan package. Make sure that you know everything you can about the student loan packages so you can choose the best one that’s available to you. If possible, discuss your choices and your decision with your parents, so they can help you find the best possible deal. When choosing between the available packages, the ideal would be to get a good student loan package with a sizable loan at a low interest rate and an ideal repayment scheme. You surely don’t want to get stuck with the plan and will want to move ahead after graduation.